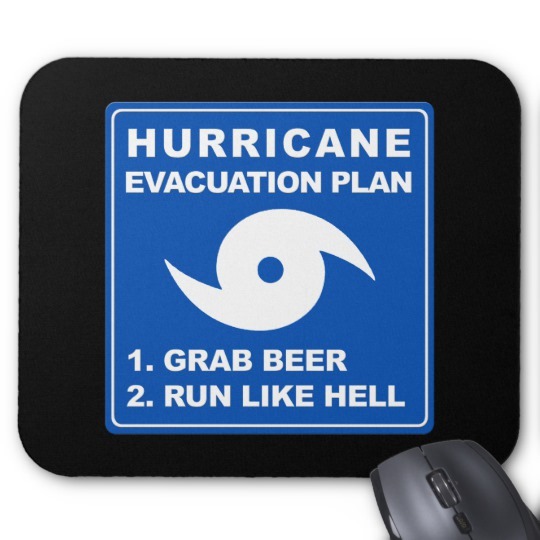 Hurricanes are destructive forces that have to be taken seriously, but during adversity it is important to not lose a sense of humor. 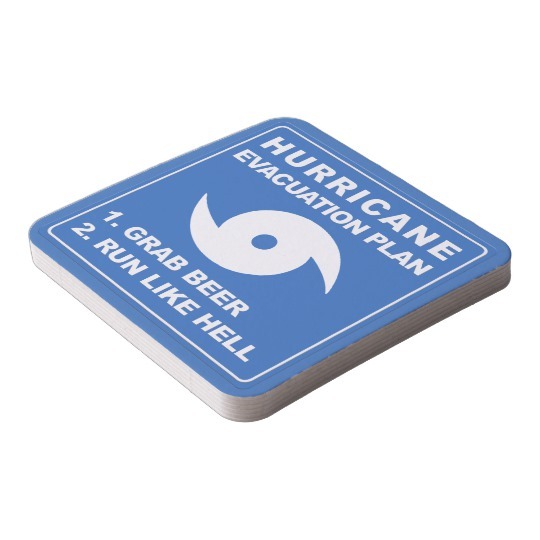 This hurricane evacuation plan design will do just that. 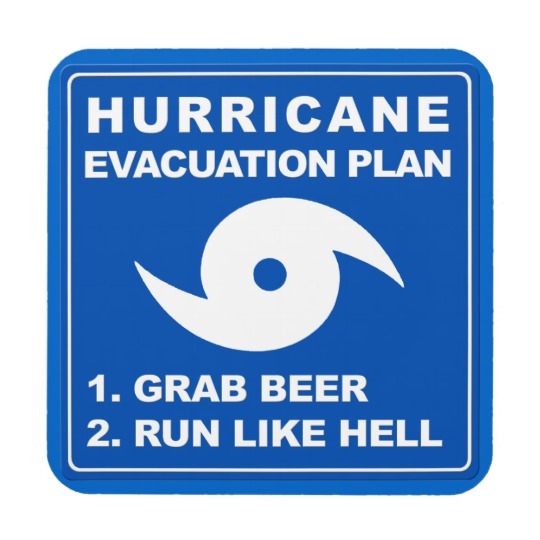 The hurricane evacuation sign has 2 special steps. 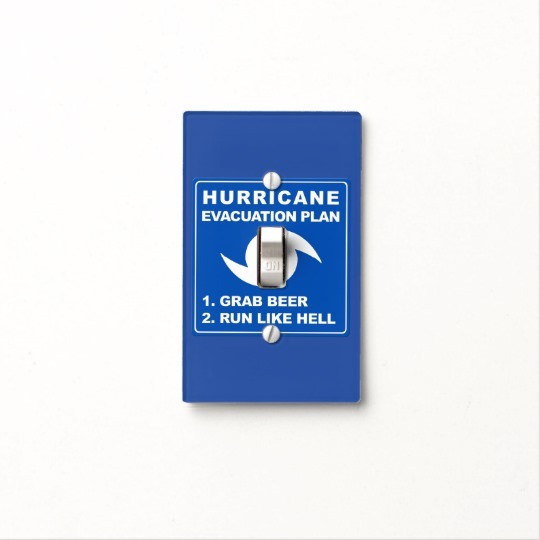 First grab the beer, then run like hell. 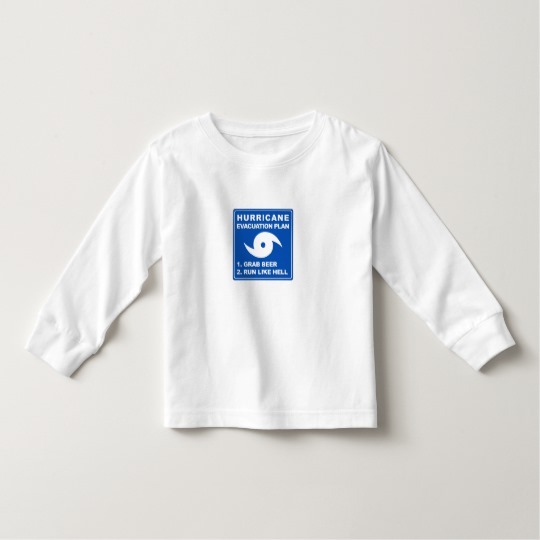 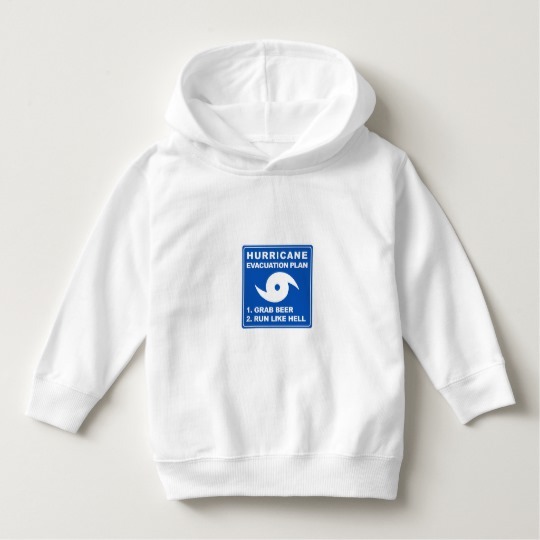 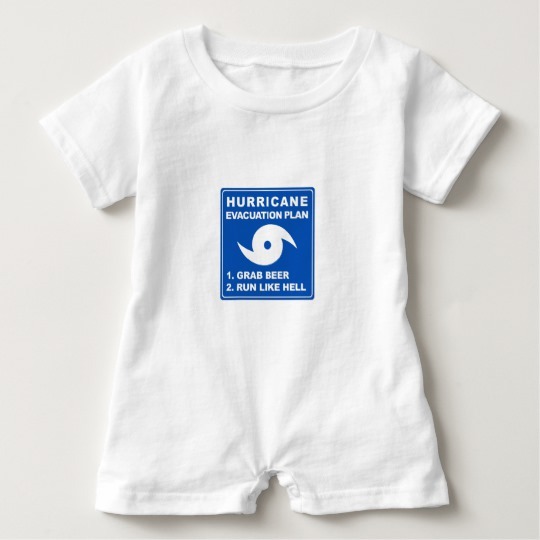 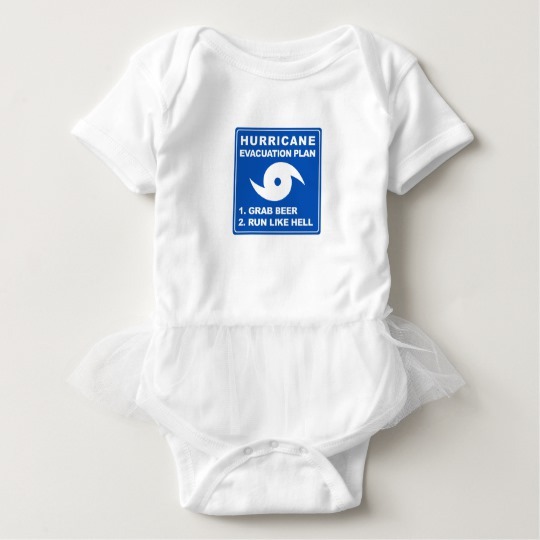 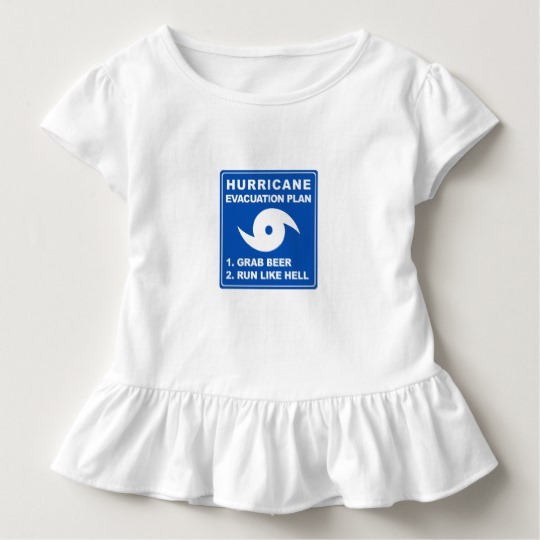 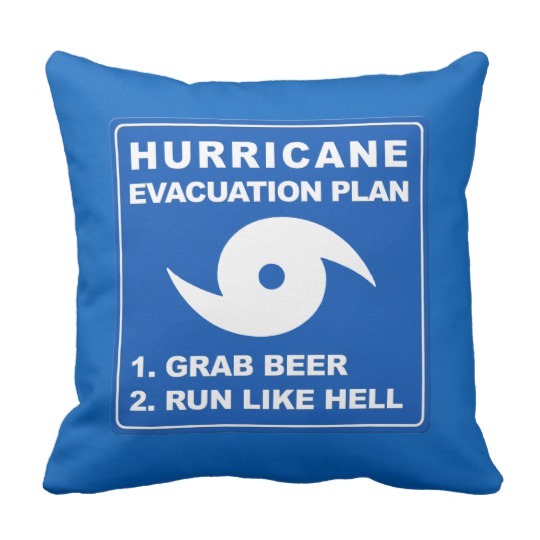 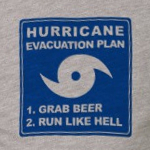 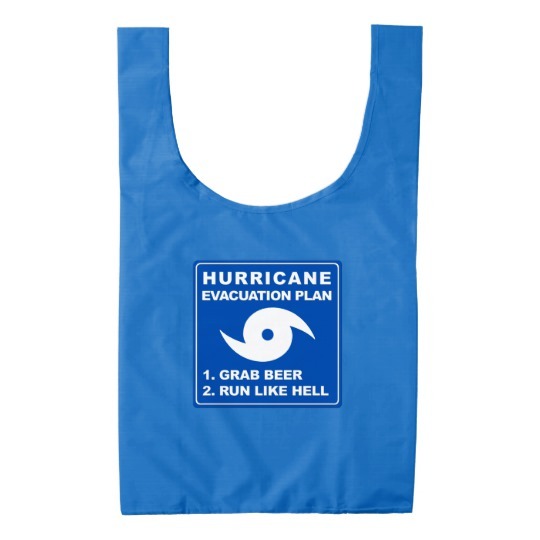 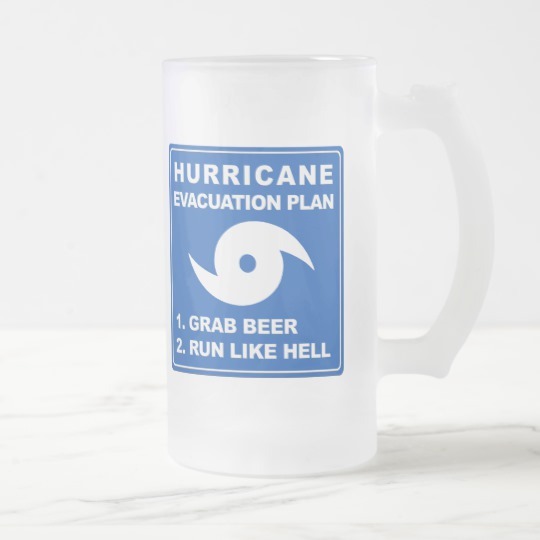 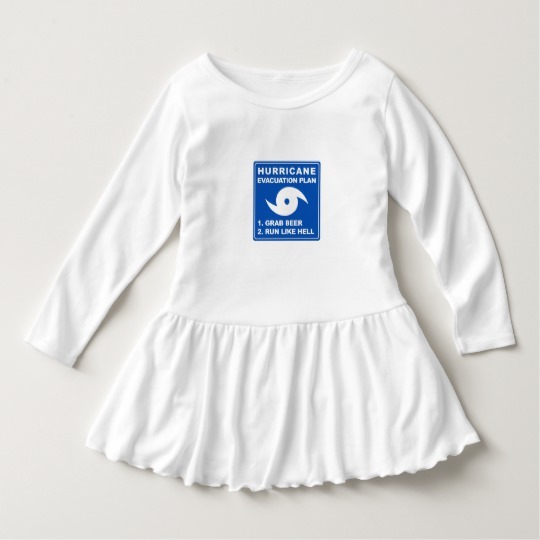 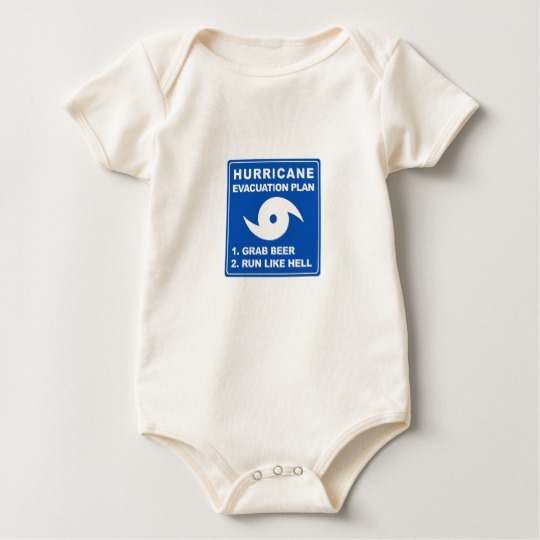 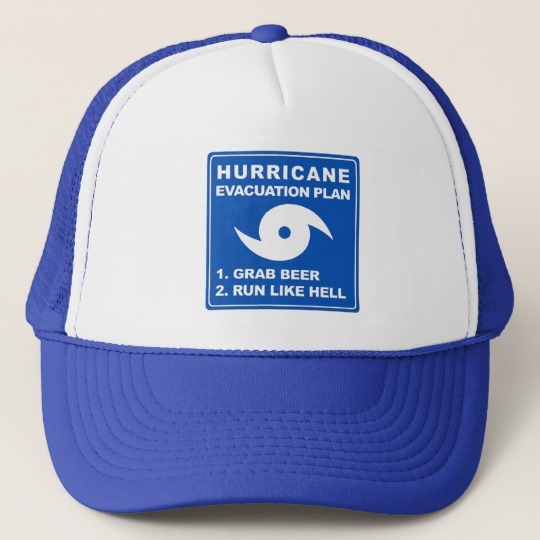 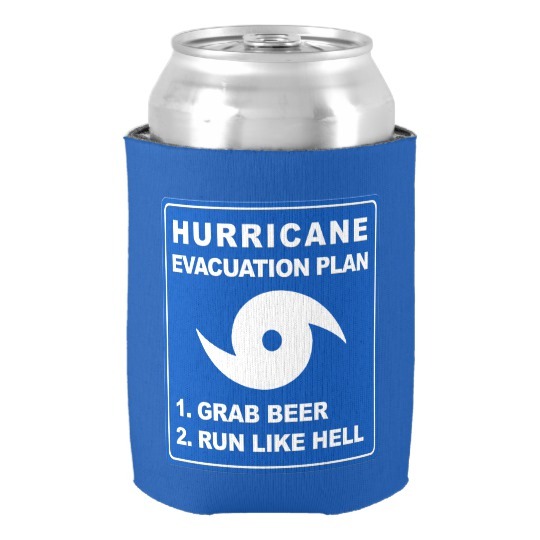 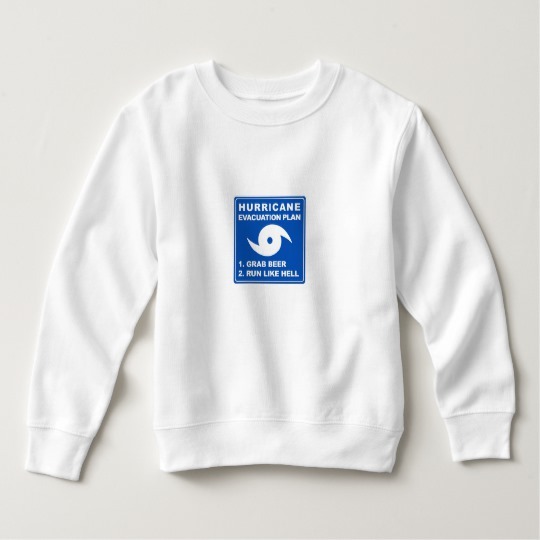 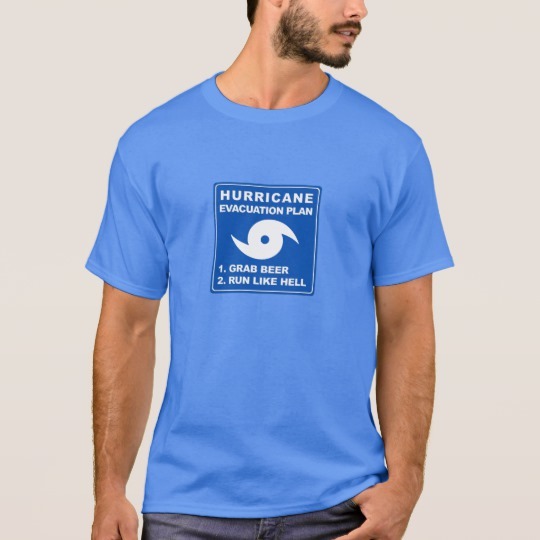 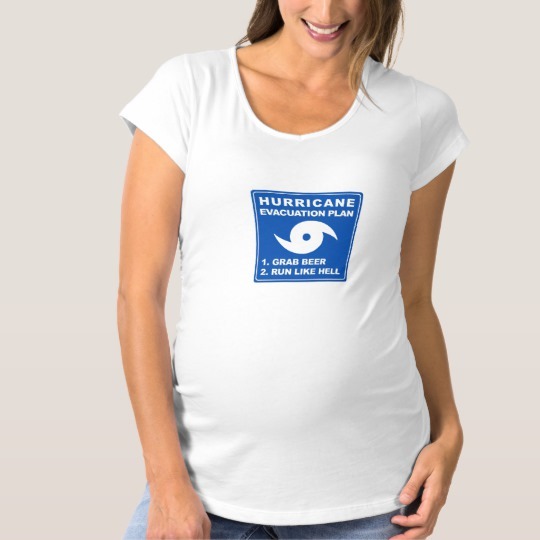 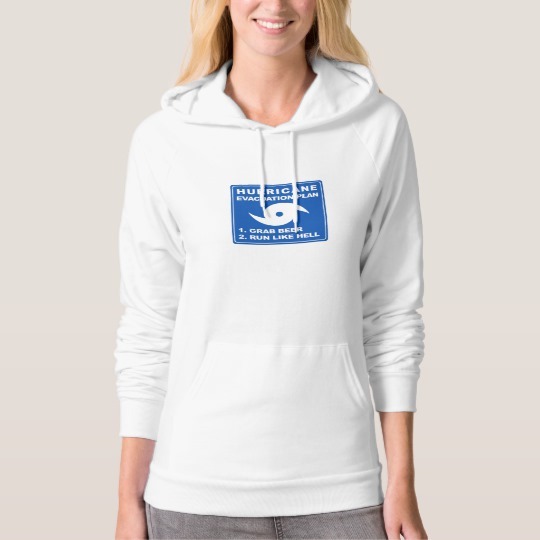 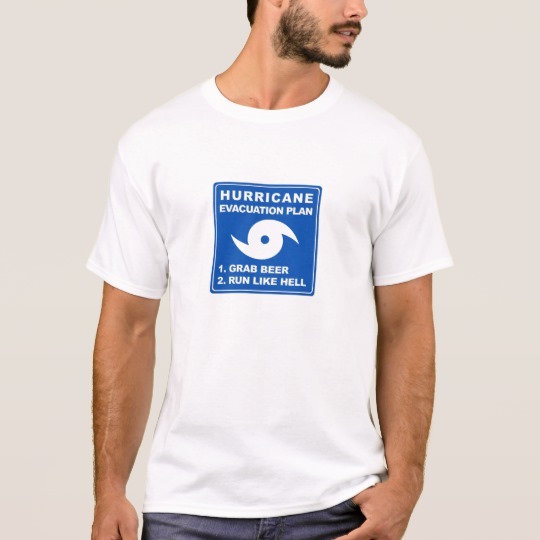 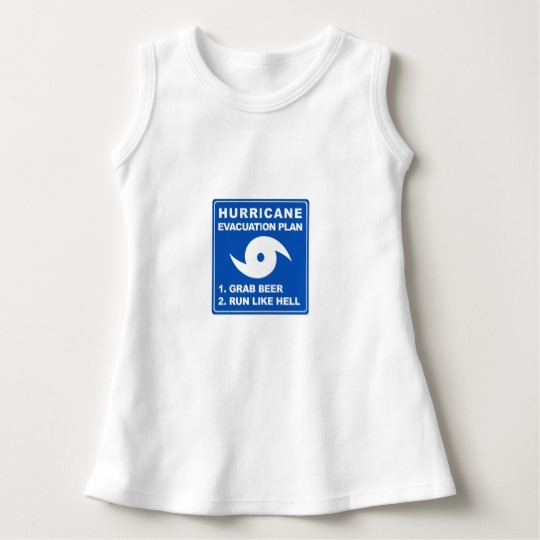 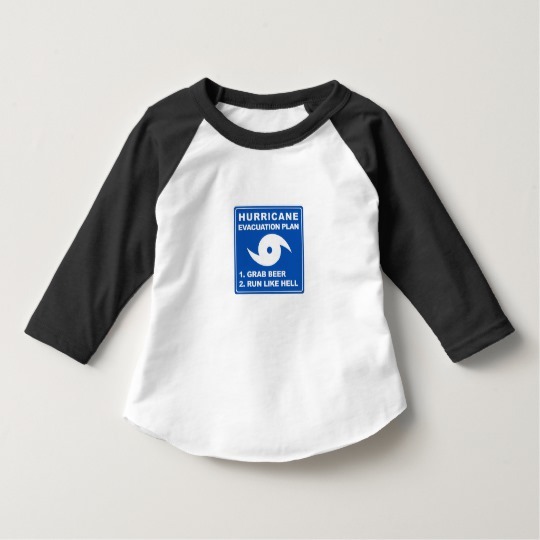 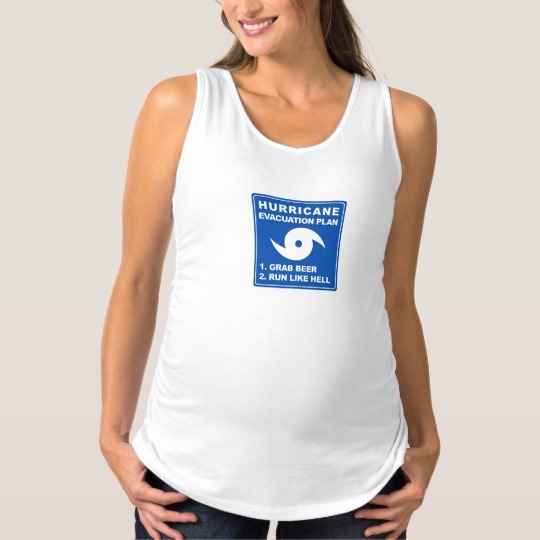 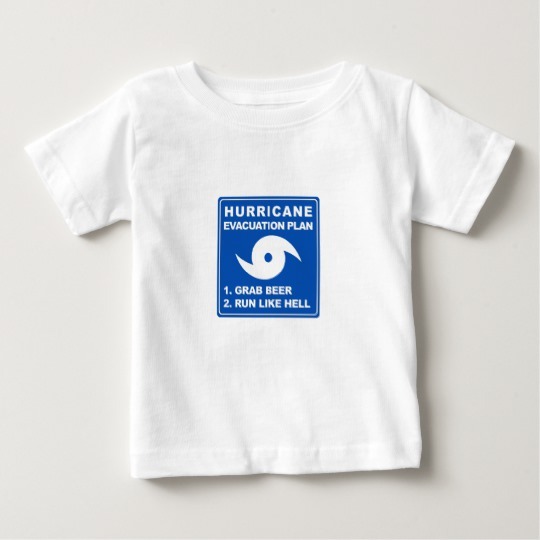 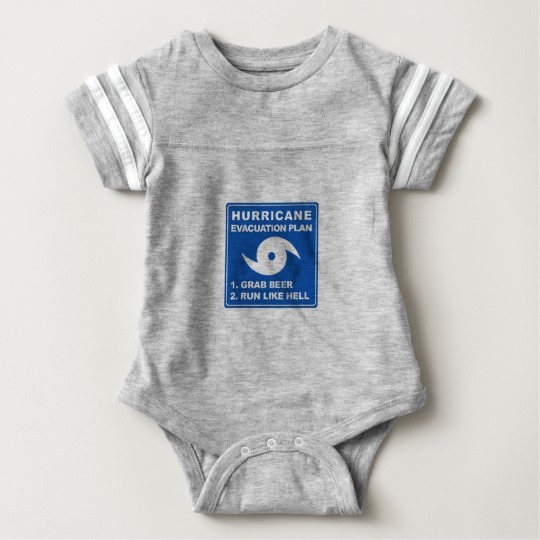 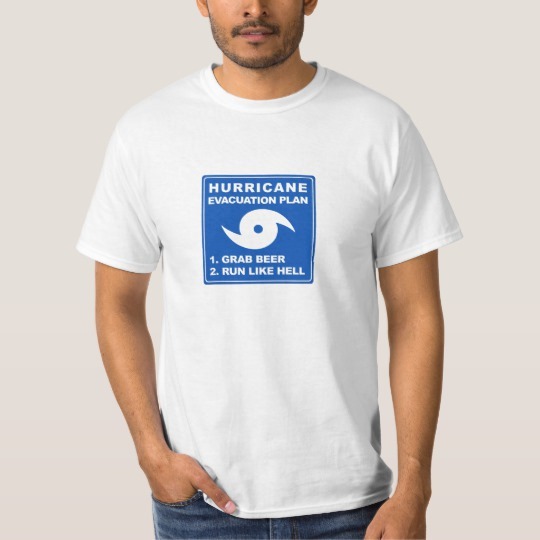 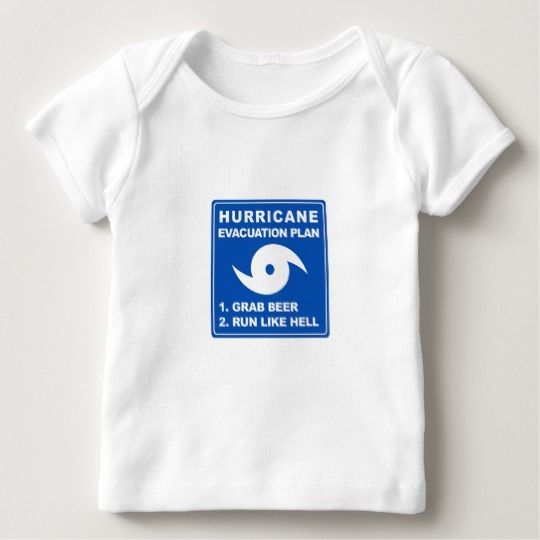 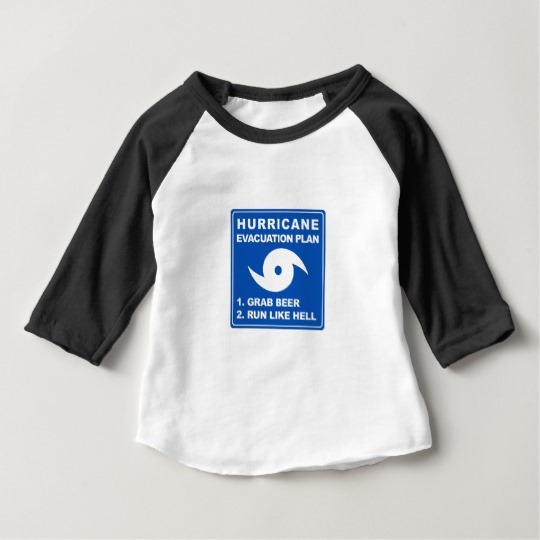 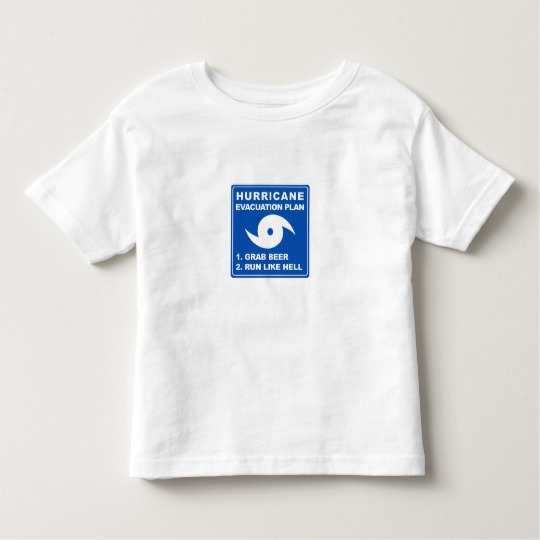 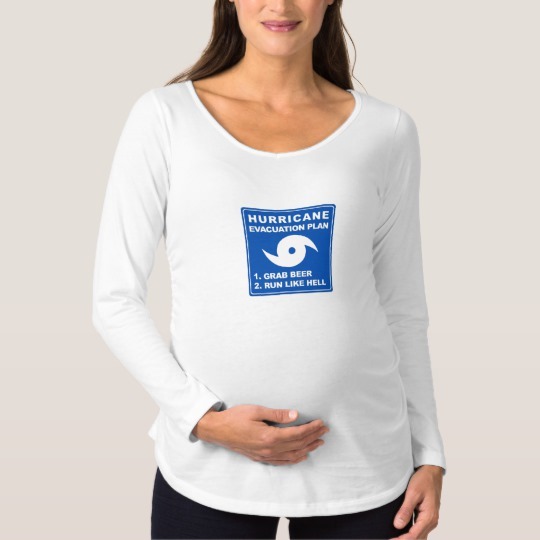 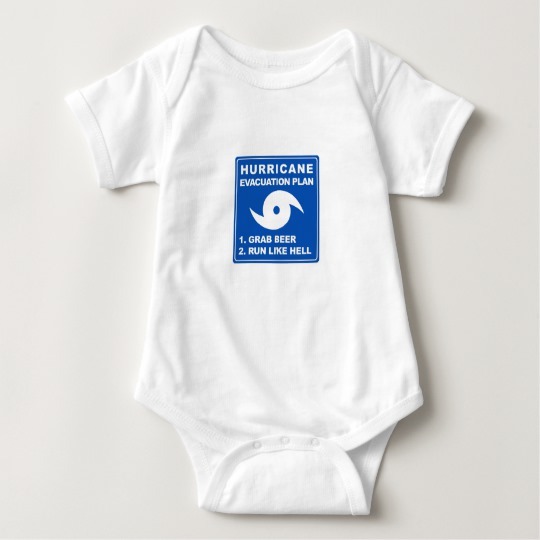 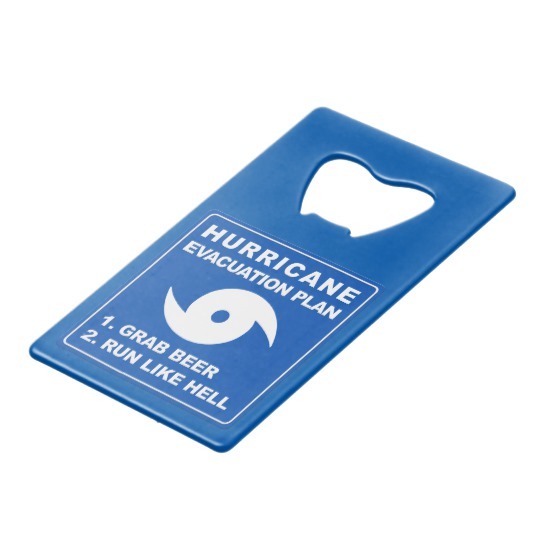 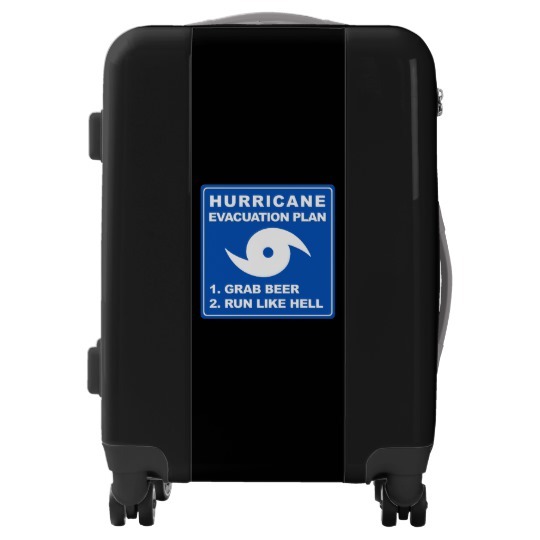 Keep your head up the next time a hurricane is coming your way with this funny evacuation design.